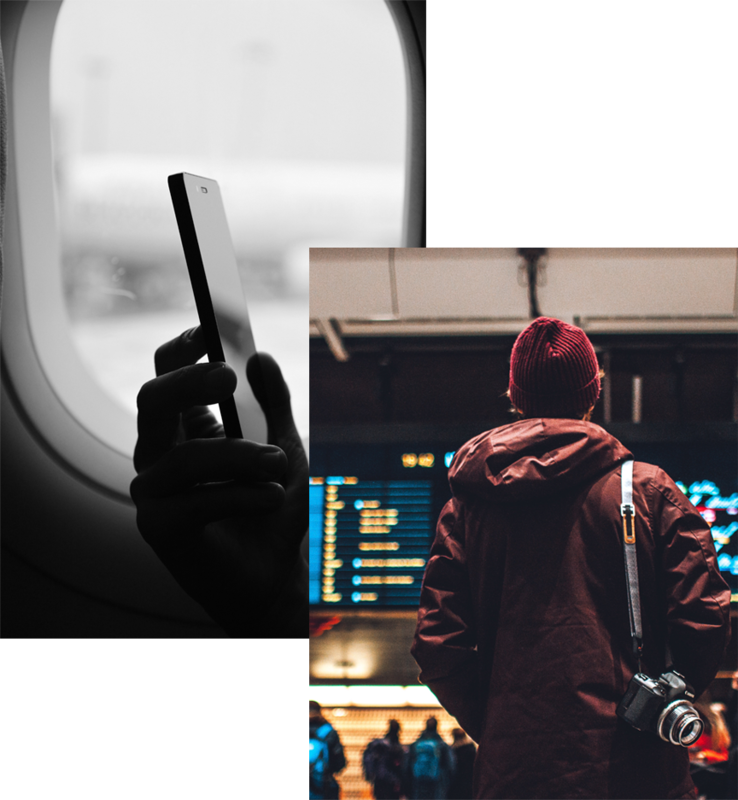 Our destination content system for Airlines will allow you to show your passengers everything that your destinations have to offer and inspire them throughout the entire customer journey. We provide a platform of geolocated and up-to-date dynamic content (POIs, events, concerts, cultural calendar, etc.) 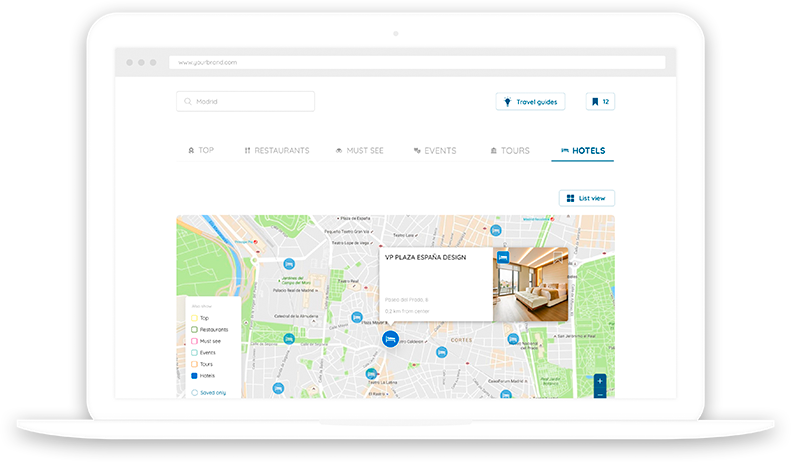 of your destinations that can be fastly and easily integrated within your web, web mobile and APP. We understand that boosting your direct channel with inspirational content can be a tough one, however, working with us couldn’t be easier. 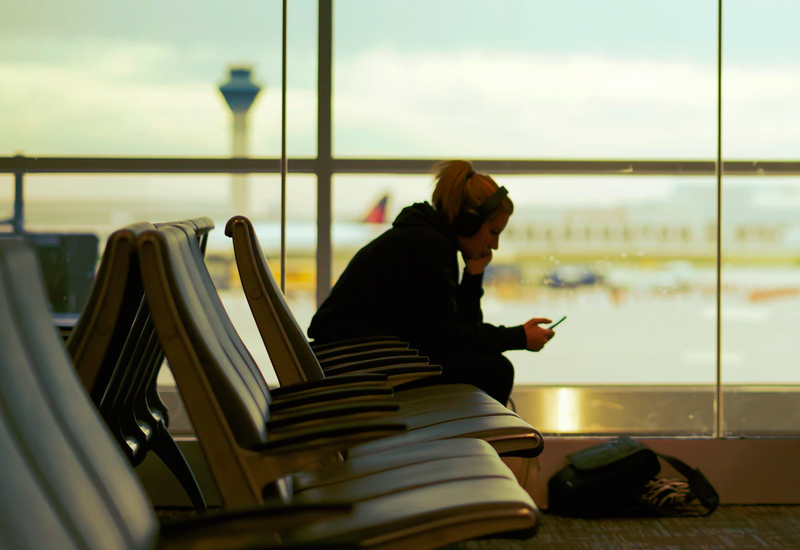 Improve your passengers’ experience throughout the entire customer journey with our destination content system for Airlines. Thus, let us collect, classify, translate and geolocate all the up-to-date cultural and leisure calendar of your destinations in order for you to amaze your passengers with all the things that can be done at your destinations, according to their preferences and the dates they are traveling. Additionally, customize your own layers of content by displaying your own recommendations and activities. Sounds good, right? Our destination content system for Airlines offers your travelers content adapted to the destination they are traveling to, according to their travel dates: inspiration and planification of their trip at the destination and during their flight, allowing them have a complete digital guide of the city they are visiting with customized culture and leisure suggestions. We have the destination content system for Airlines that you need! We cover a large number of destinations. Wherever you operate, you can count on us to offer your clients all the multilingual and multi-device up-to-date dynamic content. At present, we display the information of more than 300 destinations and are capable of covering new destinations easily. 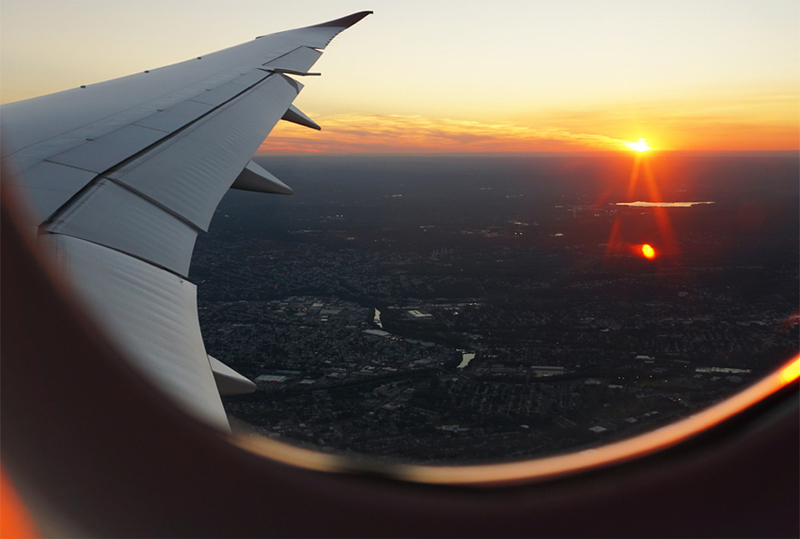 Our destination content system for Airlines helps to inspire your travelers before, during, and after the flight. Moreover, you will receive information about your clients’ profile and preferences thanks to the usage reports that will be sent to you monthly.